My Field Day was short and sweet. 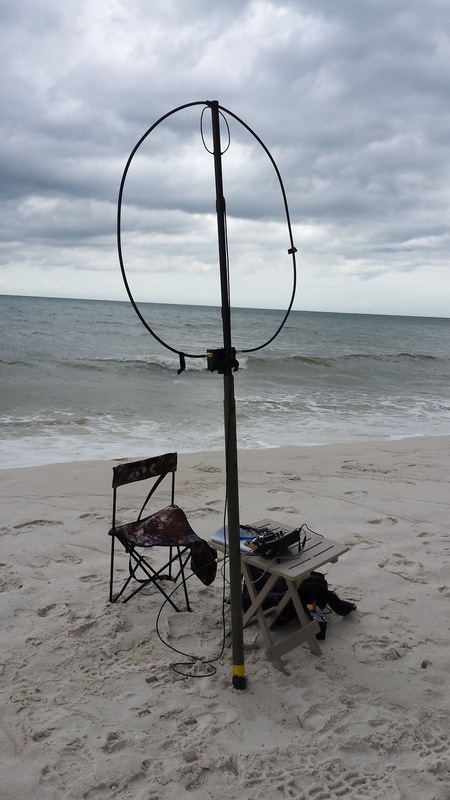 I was on the site with the Panama City ARC using call W4RYZ about ten hours and operated about nine. 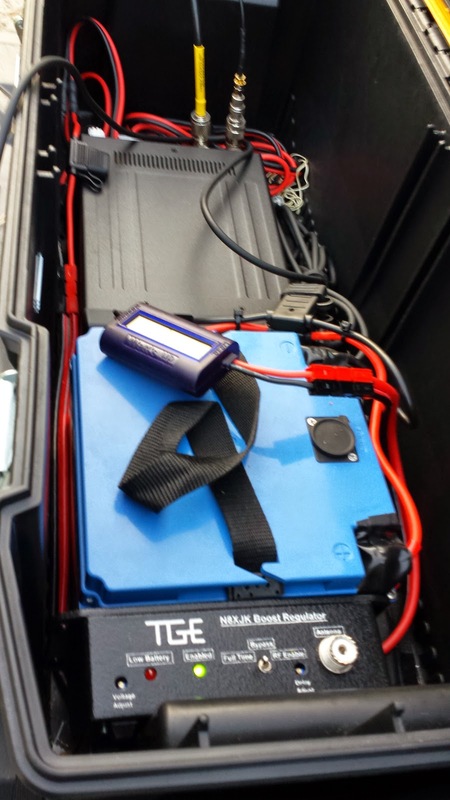 Since last year I have put together a 100 watt go box based on the Icom 7100 and a 30 ah LiFePO4 battery. 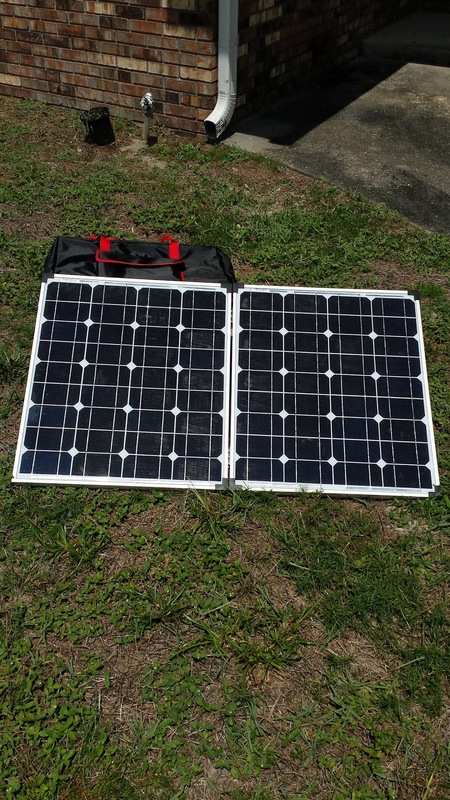 To complete the set is a SGC 237 tuner and a 100 watt solar panel. This year I decided do a 100 foot doublet with the SGC 237 at the center. The SGC was at the top of camo poles off a hitch mount on the truck. 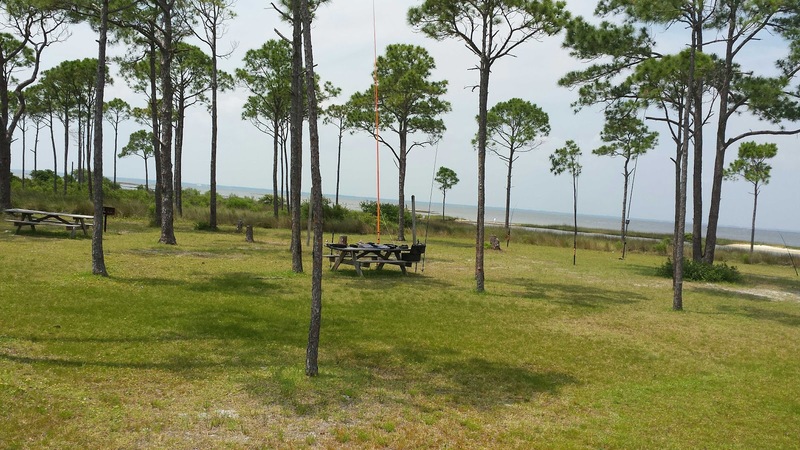 The ends were supported by 31 foot jackite poles. The ground was hard so we drove in a length of angle iron with a sledge hammer and strapped the poles to them. The antenna was maybe 27 feet up with a little sag. My fellow club member Phil N4STC helped set this up, did logging and got in some operating on the rig. The SGC needs 12 volts and being at the top of a pole I had planned to use MFJ Bias Tees but they failed on me in a pre field day checkout. Not having time to mess with them I used a 3AH battery strapped to the pole. It worked but would be a pain to change out. the SGC seems draw about 250 ma steady for the relays. I had a 70 foot run of coax from the tuner to the operating table. We we able to take advantage of some shade and avoided using a pop-up canopy. The weather was hot but comfortable in the shade. 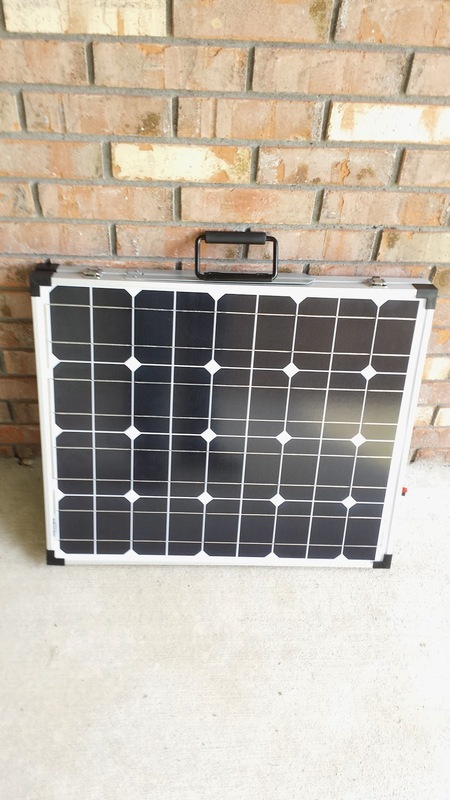 The 100 watt solar panel was in the sun and with a LiFePO4 controller it fed the battery. The sun was blocked by clouds early but had a good run of sunshine for most of the time. I had some meters on the controller and out of the battery to the rig. The charge was about 1.25 ah per hour and that was just what we were using to the rig running at 80 watts. Our contacts were hunt and ponce so the duty cycle was not all that high. 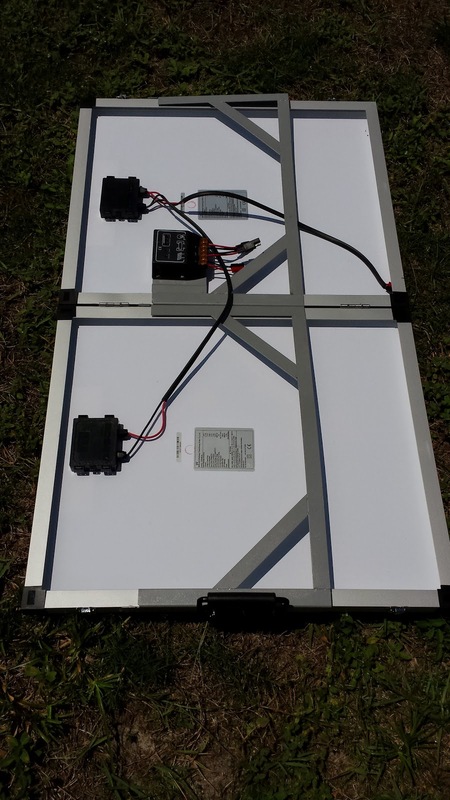 The bottom line is we were running solar while the sun was shining. The 100 foot doublet was just the ticket. We did well on 20 meters and best on 40 meters. 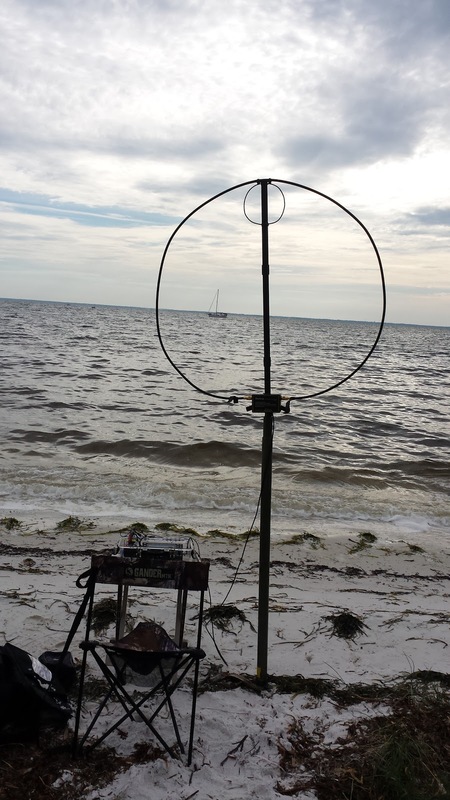 We were able to snag the Virgin Islands and Puerto Rico on 15 meters which was otherwise dead. We also picked up 80 meter contacts after dark. I can say I am ready for the next Field Day class event at the higher power. I would go with the 100 foot doublet again. 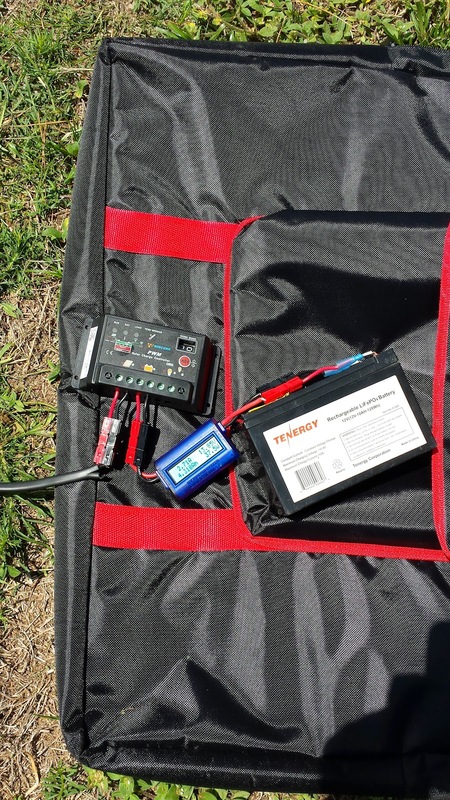 Last year we operated the KX3 at 10 watts for the whole duration off a 15 AH battery so that is a good way to go as well. You just have to work a bit harder for those contacts. At 80 watts almost every one we heard came back to us and only had to give up on a few big pile ups. I still want to do a QRP entry someday. 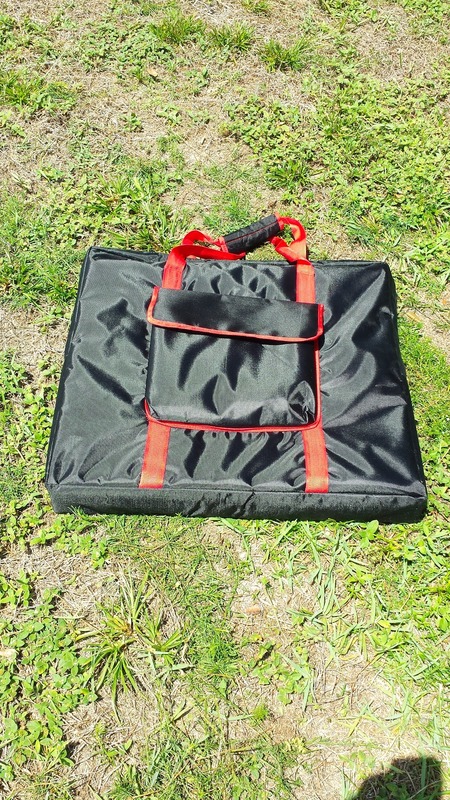 Marv KK4DKT had the other rig on the site. He brought a nice travel trailer and enjoyed the air conditioning. He did well making digital contacts. camo poles off the hitch mount. 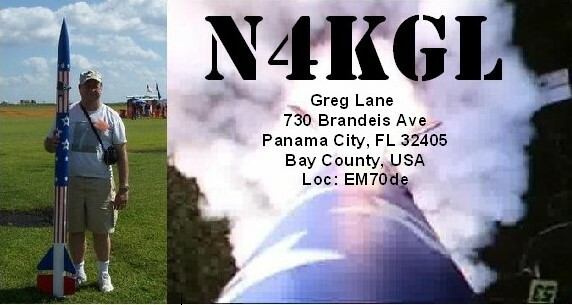 May was an excellent month for operating outdoors for N4KGL in Northwest Florida. One week was rained out but the others were fine for operating. My wife Linda worked out of town on three Saturdays. So I drove and operated while she worked. 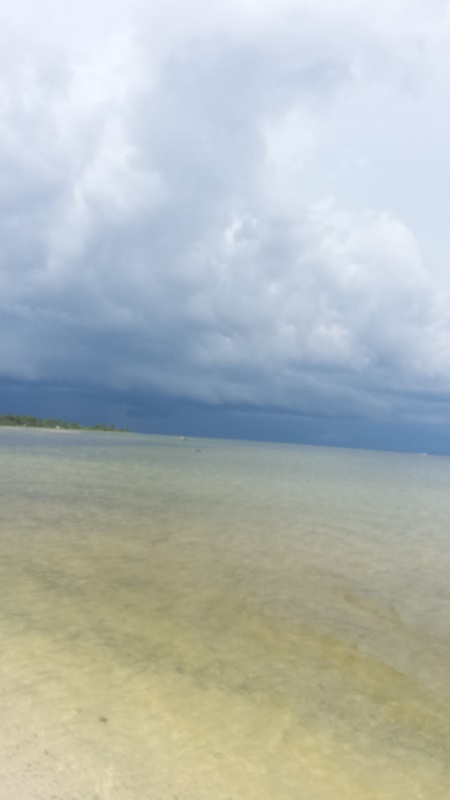 I find the State Parks here are excellent and offer saltwater sites on the gulf and the bay sides. I experimented with 100 foot wires end fed and in loop configurations. You will see my notes below. sloping up to 31 foot pole at the center and the end at 20 foot high. I was pleased with 20, 17, 15 12 and 10 meter contacts. sloping up to 31 foot pole at the center and the end at 20 foot high I had good luck on 40, 17 15 and 10 meters. Antenna 2: delta loop from 100 foot wire fet at the corner with SGC 237 tuner. I had a tough time on 17 meters SSB even though I was running between 40 and 80 watts. 20 and 10 meters were better. 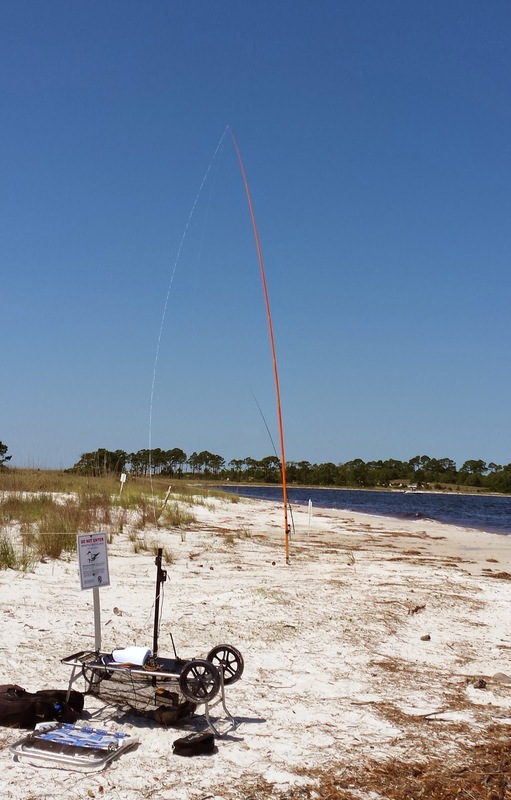 I did work ZL1DK on 10 meters. 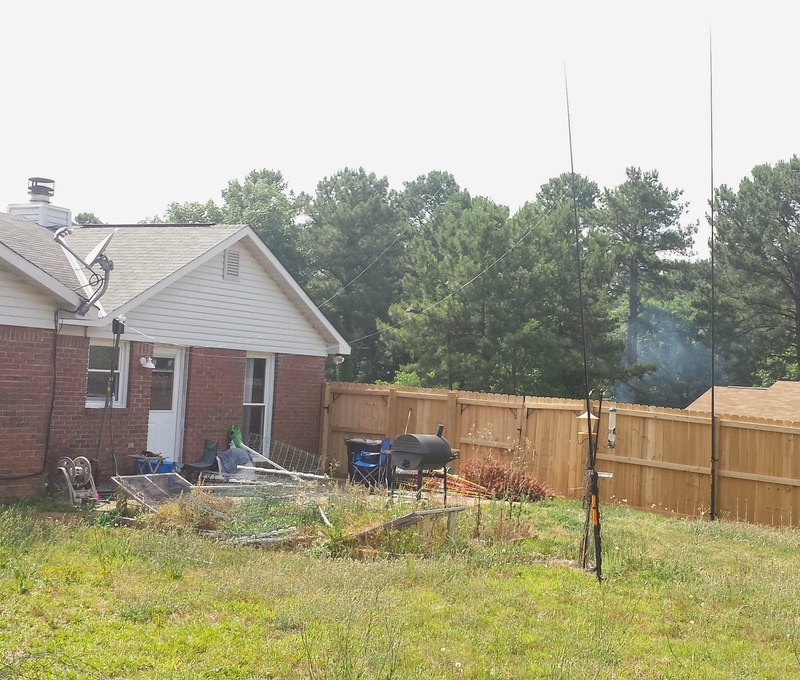 Antenna: Irregular loop from 100 foot wire fed with SGC 237 Tuner. 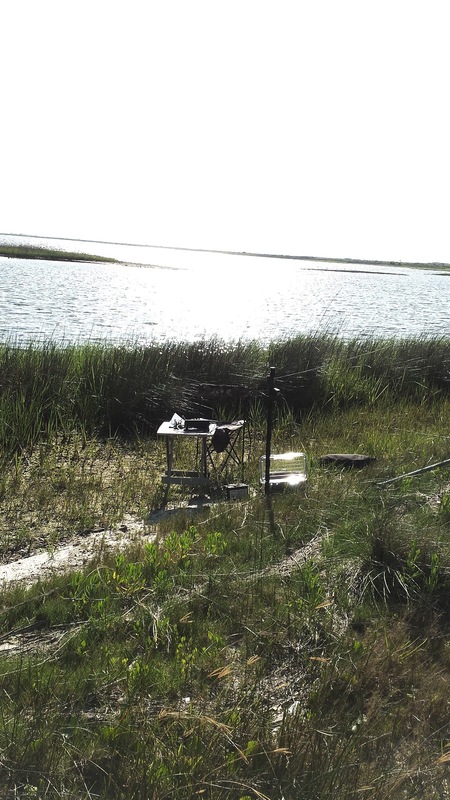 QSOs on 80, 40, 30, 20, 17 & 15. I was very pleased with this configuration. 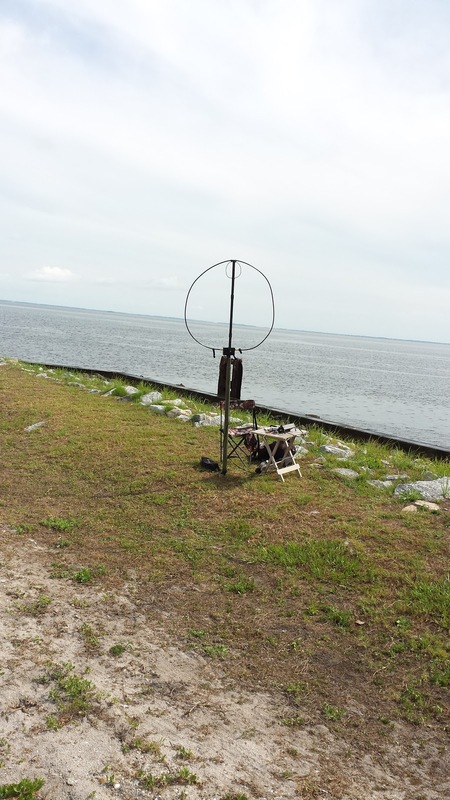 Antenna 2: Alexloop - Nice 40 meter NVIS contact to Tallahassee FL. Also a nice 17 meter contact with VE4AKI 10 watts both ways. I should mention that the KX3 is going a great job. 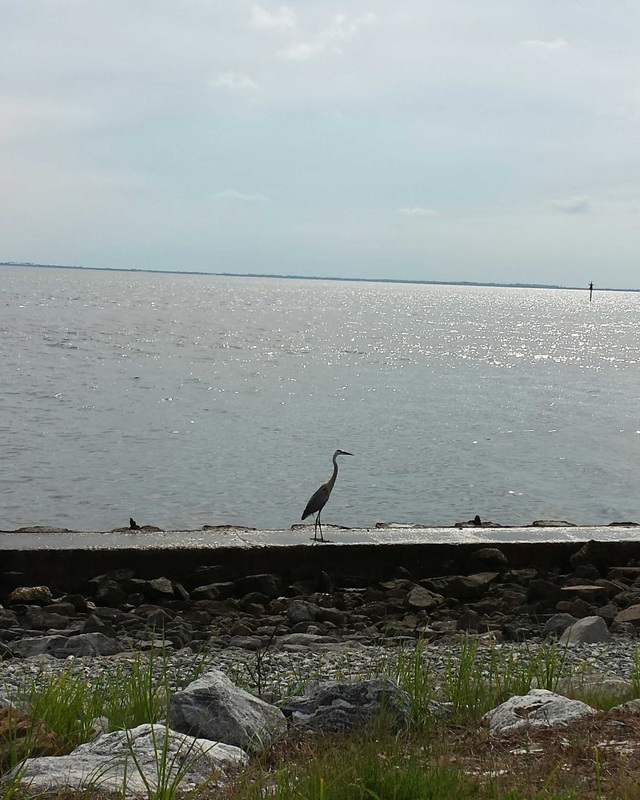 I hope I don't suffer a penalty for being so close to the saltwater. Note the sun beating down on the rig and on some long transmissions the PA can get into the 50s degree C. Once it went over temp. This is manageable problem just something to watch. I think a small sun shield might be good. I also may use a small fan. I don't want to change the pack-up size of the KX3 by adding fins. I also used the Icom 7100 on one outing. I can't say the extra power is any magic bullet. But it is one more option I have.